Shenhua draws 0-0 with Shandong Luneng at home while the club's president admits making mistakes in choosing the manager and foreign players at the beginning of the CSL season. Shanghai Greenland Shenhua was held to a goalless draw by Felix Magath’s Shandong Luneng in their Chinese Super League match at Hongkou Football Stadium on Tuesday. Having suffered five successive league defeats coming into the match, including last Saturday’s humiliating 1-6 derby drubbing by city rival SIPG at Shanghai Stadium, the draw with a team lying fifth in the 16-team CSL standings was a welcome relief. Captain Giovanni Moreno continued to be one of the busiest players on the pitch while Fredy Guarin, who like striker Carlos Tevez was earlier criticized over his fitness, also made a return, coming on as a second-half substitute. 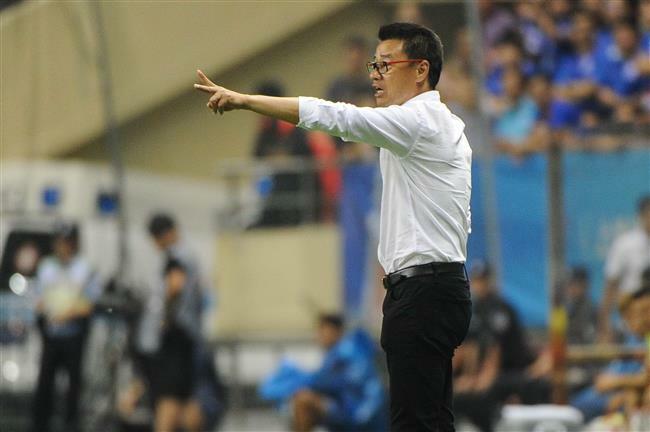 Shanghai Greenland Shenhua manager Wu Jingui gives directions to his playing during the team's Chinese Super League match against Shandong Luneng at Hongkou Football Stadium on September 19, 2017. The match was meant to be played in April, but was put back after a fire broke out at Hongkou Football Stadium in March. Shenhua is now 11th in the table on 25 points with five more rounds to go. After Saturday’s humiliation, the club has been engaged in discussion with media and fans. “I want to apologize to the fans and answer some fans’ doubts about the club. At the beginning of the season, we did not do well in picking the (right) head coach and foreign players,” Wu said, adding that he understood fans have been left were wondering about where Shenhua would be now had the club retained its Spanish coach Gregorio Manzano instead of hiring Uruguay's Gus Poyet. Wu also admitted that bringing Tevez to Shanghai has not panned out well enough and that the highly-paid player had not met the club’s expectation. The Argentina striker scored only his third CSL goal in Shenhua’s 1-6 defeat to SIPG on Saturday. Wu said the suspension of players like Qin Sheng (who served a six-month ban for stamping on Tianjin Quanjian defender Axel Witsel) and injuries to key defenders had affected the team’s performance. The fire that broke out at Hongkou Football Stadium in March, which forced Shenhua to play away matches at a stretch, also added to the difficulty. Wu said the club’s primary task for coach Wu, who took over from Poyet last week, is to keep the team in the CSL. The second task is to make sure that Shenhua reaches the final of this year’s CFA Cup (by beating second-tier team Shanghai Shenxin) and even set sights on the cup title." Shenhua could meet SIPG in the final as its derby rival leads defending CSL champion Guangzhou Evergrande 2-1 after the first leg of their semifinal. Shenhua leads Shenxin 1-0, with the second leg to be played on September 29. 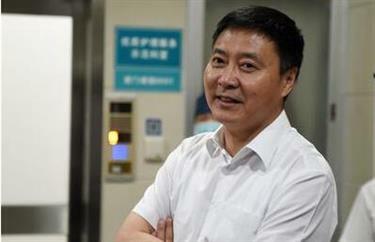 “We chose Wu Jingui because he is familiar with the team and has encountered similar situations before. He is someone who can lead the team onto the right path,” added Wu.